Mesh WiFi networks are the new trend of the past couple of years. Eero, Luma, Google Wifi, and several others have introduced their own systems of routers that aim to simplify home networking as much as possible by consolidating access points under a single network SSID and letting your WiFi reach more areas of your house without too much headache. Now Linksys, the company behind some of the most popular routers in the world, is presenting its take on the matter. Velop, which I'm going to assume comes from "envelop" as in enveloping your house with WiFi, is a system of routers in which each node is a Tri-Band 2x2 802.11ac Wave 2 MU-MIMO router that can also work as range extender or bridge. 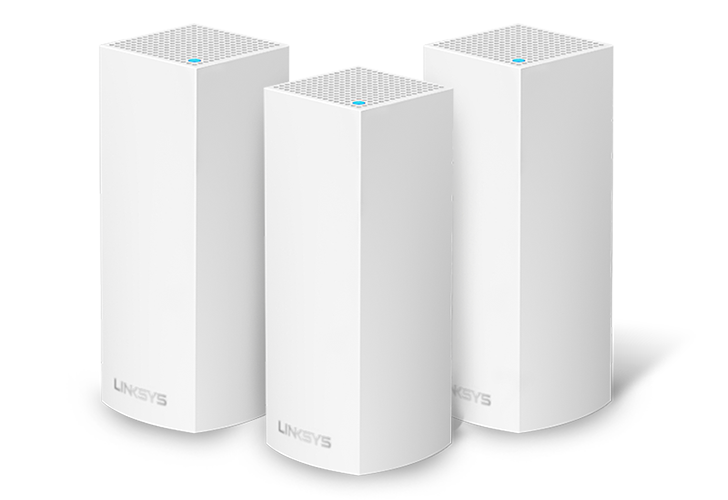 Linksys claims that it has perfected mesh networking to a point where there's no signal degradation between the main router and the other units and it can thus offer 100% speed to your devices regardless of which node they're connected to. Aside from the clean speaker-like look (the ports are on the bottom), Velop has plenty of smart features too: parental control, device prioritization, guest networks, auto-fix, and speed test, all of which are accessible through the Linksys Smart Wi-Fi mobile app on Android and iOS. There's also Alexa integration, letting you turn on and off the guest network with a simple voice command. The Velop is available for purchase today, but you'll have to dig deep into your pocket if you're interested in Linksys' system and prefer it over something like the Google Wifi. One unit costs $199.99, two are $349.99, and three are $499.99. Those prices seem to be limited-time offers too, they're normally $30 more across the board.